The Hound knew you where a knowledgable bunch, points awarded all round for getting the correct answer to last weeks question…BRAVO! Special mention goes to Rob Spenser for not only knowing the right answer but adding an interesting piece of information on this weeks Mystery Object of the Week! 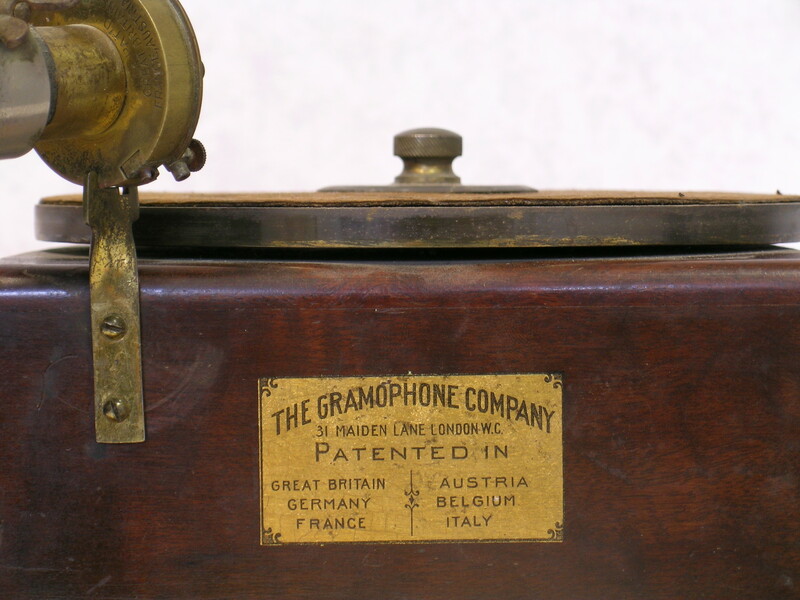 The ‘Style No.5 Gramophone’ was the first machine sold by the Gramophone Company Ltd. in 1898. 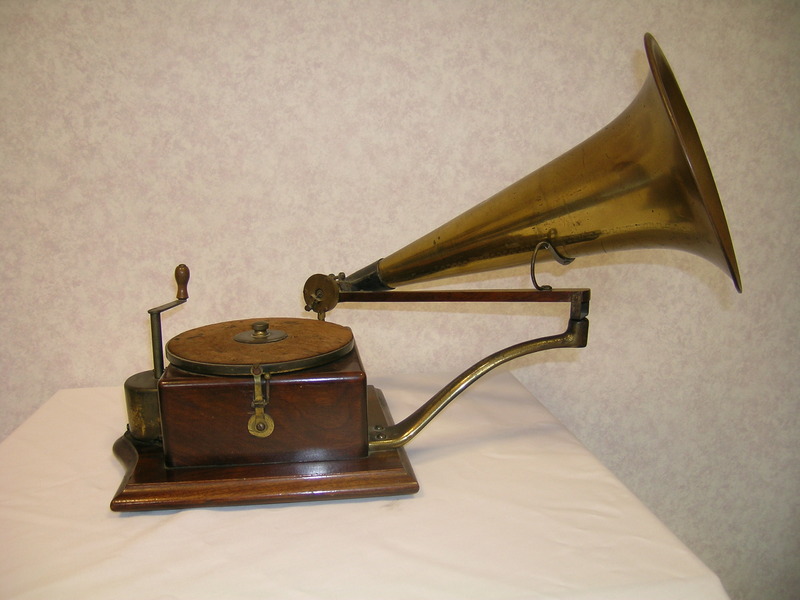 It used a clockwork motor and soundbox designed by Eldridge Johnson. The wooden case is cut away at the rear to allow the semi-circular spring casing to protrude. The Style No.5 is also known as the ‘Trademark Model’ as it is the machine which Nipper is listening in the painting by Francis Barraud. This entry was posted in Uncategorized by Nipper. Bookmark the permalink. Hopefully Rob’s just won the kudos of winning, and not the machine itself??! !